This is our TRIPLE-LAYER SUMMER BERRY TRIFLE CAKE - a take on a classic, summery trifle, in cake form. It has plentiful amounts of strawberries and blueberries baked into its 3 layers. To hold it all together, each layer is iced with our famous vanilla bean cream cheese with freeze-dried strawberry powder to make it deliciously pink. This is our infamous DOUBLE-LAYER RUM-SPIKED EGGNOG CAKE. It contains caramelised Belgian white chocolate pieces, candied citrus peel, and only the best Golden @thisisstolen Stolen Rum for a satisfying warmth. 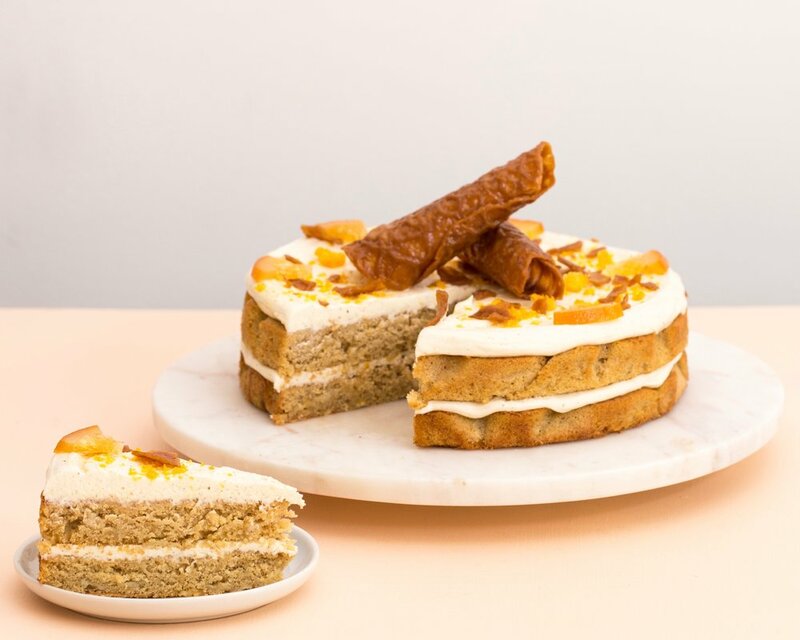 With nutmeg-laced rum icing and brandy snaps to decorate, this cake tastes just like Christmas should.